i've noticed this with a few people, buts it has happened to me. I post something, replying to someone else... and it shows up BEFORE their post! now, i think this may be caused by the early DST time change?? Jeeze... people still use sigs?! Used to happen to me but it stopped. Yes it did. Don't listen to the me from the past. Only listen to my future self. WARNING! - The Surgeon General has determined that, time spent listening to music is not deducted from one's lifespan. Last edited by Luvin Da Blues; 03-17-2007 at 02:06 PM. seen?!? NO, i've heard the original radio brodcasts! AND read the book.... then i finally saw the movie... it wasn't bad. 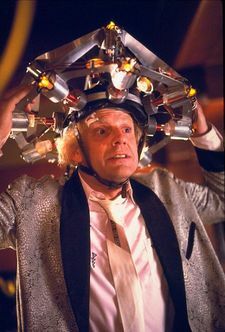 now, lets get back to the topic... who's been screwing with those flux capacitors?? I was going to, but now that I see the results, I won't. Okay, maybe I still will, but it'll be under duress. LOL, Great Scott! You know what this means it means this damn thing doesn’t work at all. The clock is ticking in the background and Cal is mad as hell. Hey -- do you guys use multiple servers? Is it possible that not all of them got the update/got their time updated? thats what i was thinking... oh well. it seems to have stopped now. hmm... chesterfield... yeah, i call it that too sometimes... wierd. This was in The Guide. A couch suddenly showed up in the middle of a cricket game. As it danced around the field one of the announcers mentioned that it looked like a chesterfield. My guess is that Chesterfield is a popular brand in the UK. Don't know about the cigs.